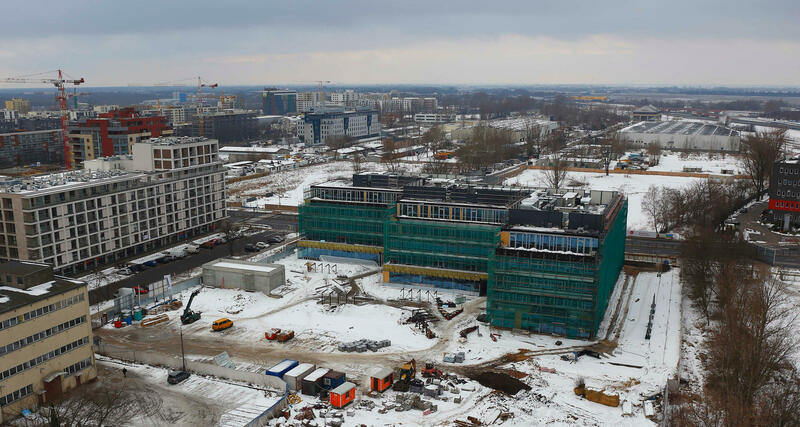 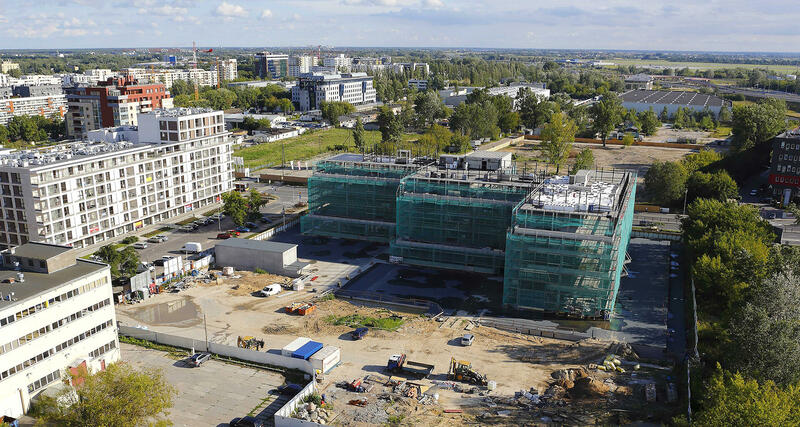 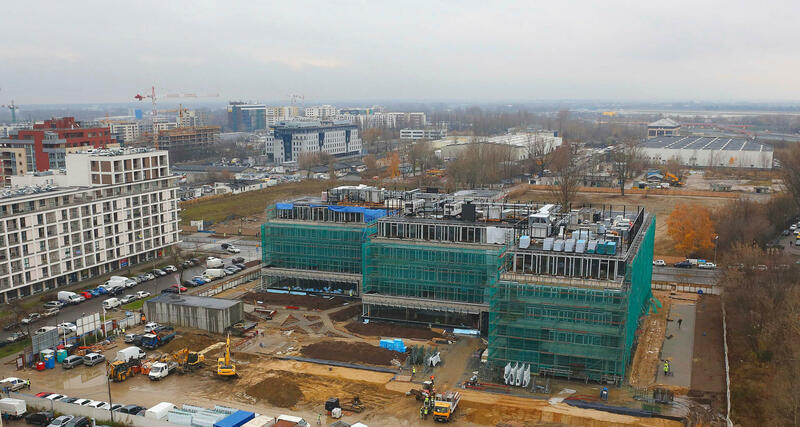 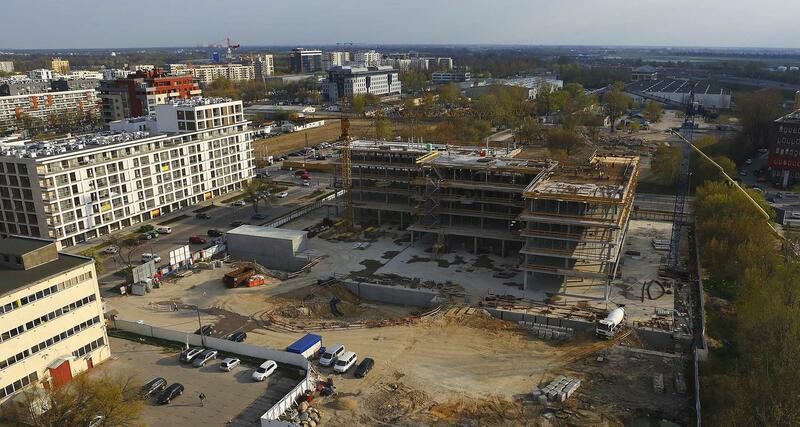 Neopark is a modern, stylish and innovative office park being developed in a strategically located business hub of Mokotów at the corner of Cybernetyki and Wynalazek streets. 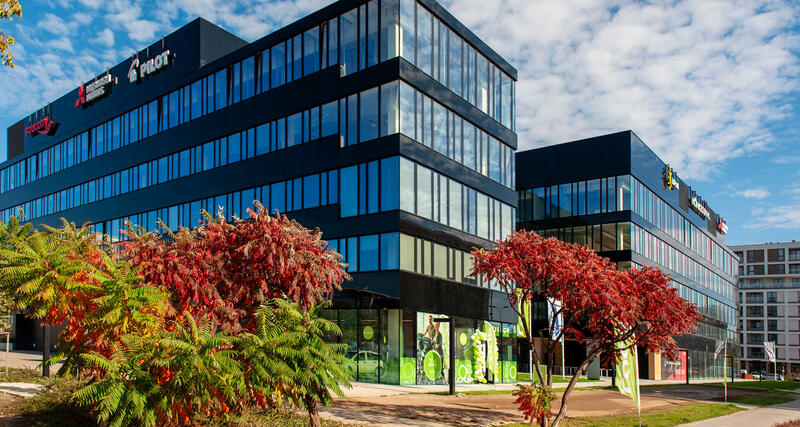 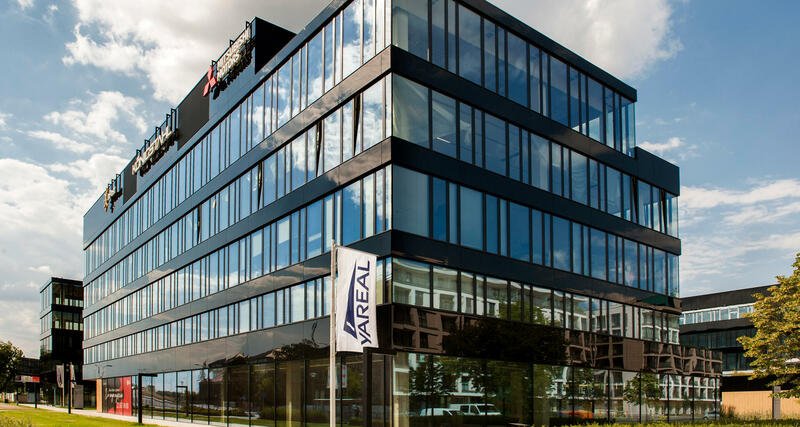 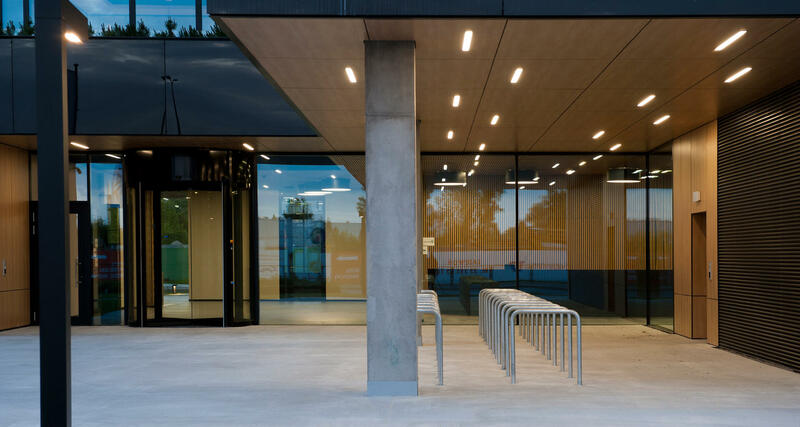 Easy access by public transport or by car from all parts of the city along with the outstanding corner exposure and visibility for your company are the key advantages for this location. 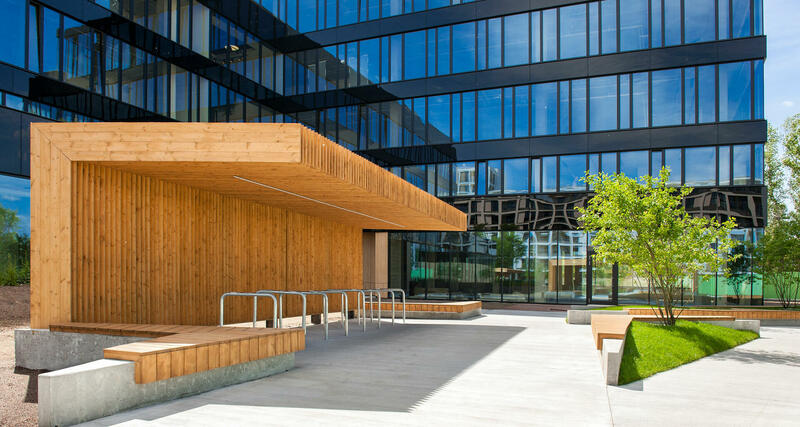 The Fast City Train (SKM) stop is located within 5 minutes walking distance from the building, which provides direct connections to downtown Warsaw. 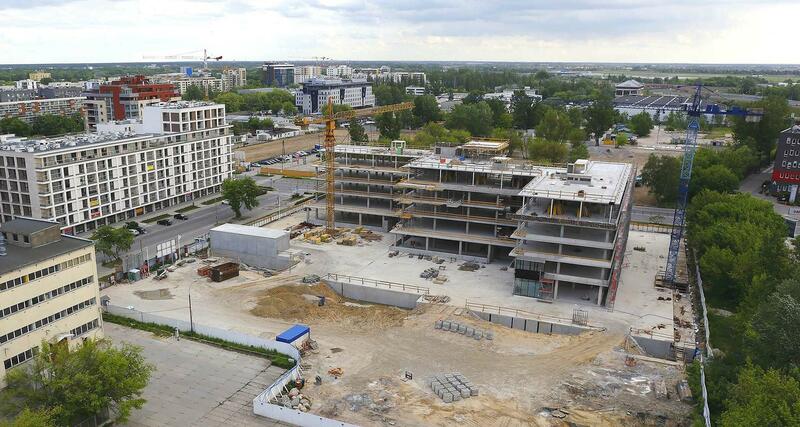 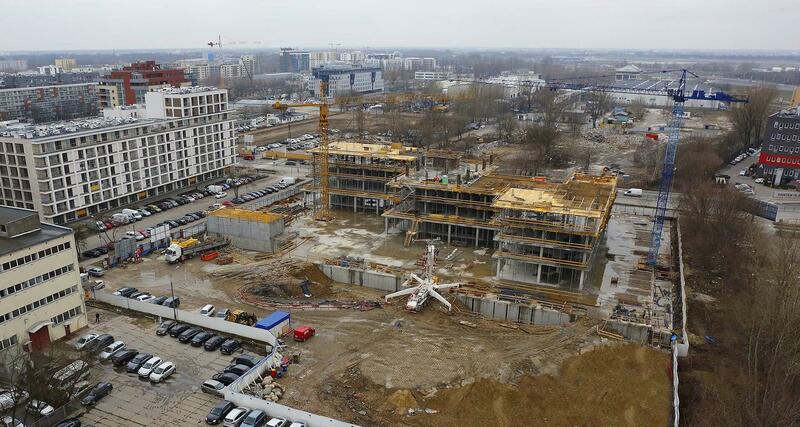 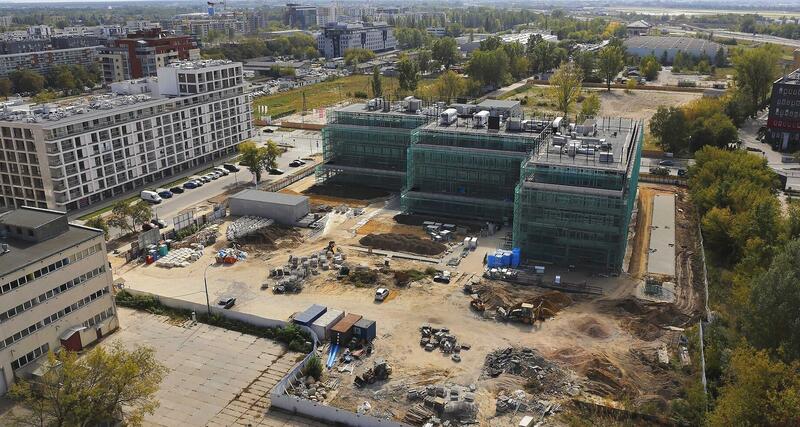 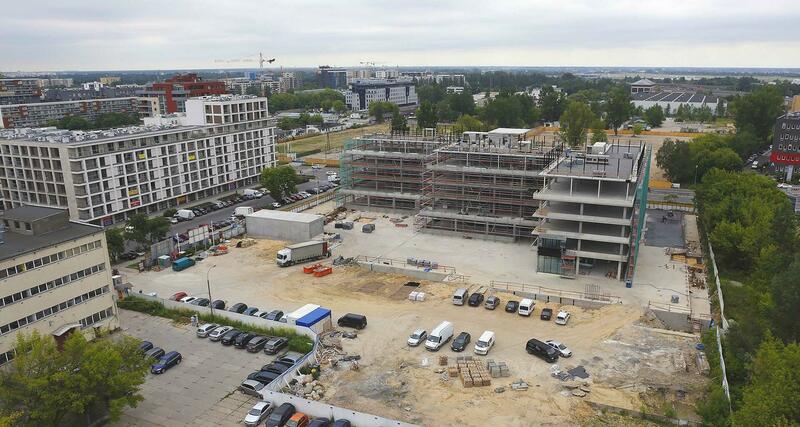 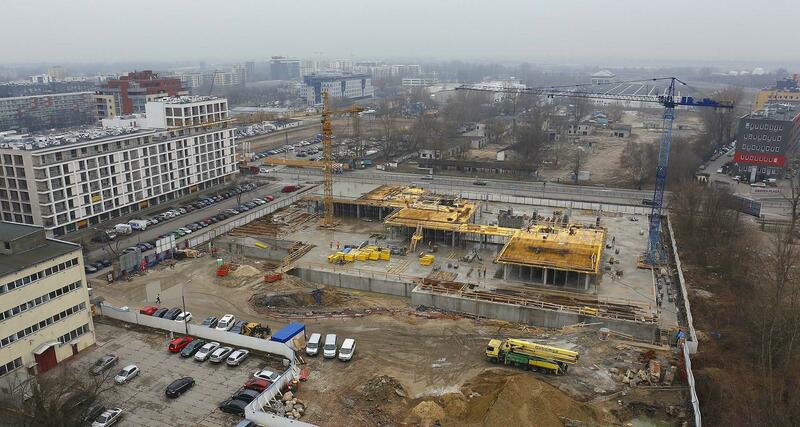 In addition, the modernized Cybernetyki street offers quick access to the international Warsaw Chopin Airport. 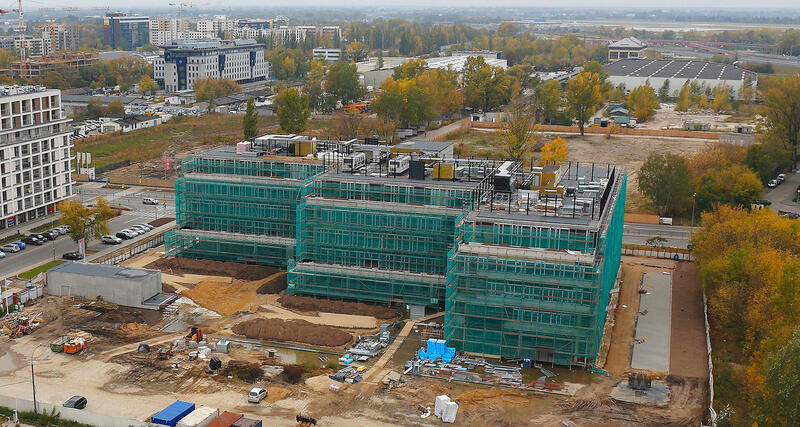 Neopark is a modern, stylish and innovative office park being developed in a strategically located business hub of Mokotów at the corner of Cybernetyki and Wynalazek streets. 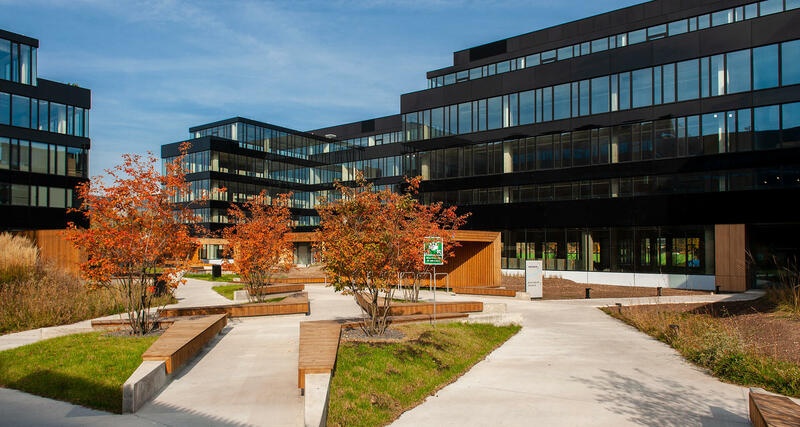 Easy access by public transport or by car from all parts of the city along with the outstanding corner exposure and visibility for your company are the key advantages for this location. 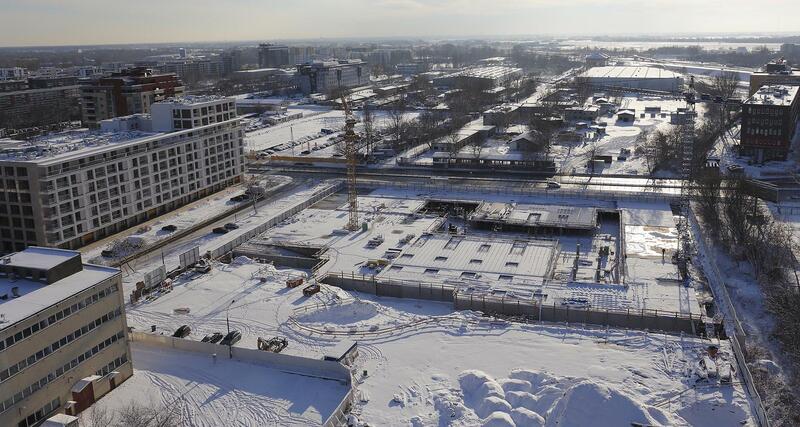 The Fast City Train (SKM) stop is located within 10 minutes walking distance from the building, which provides direct connections to downtown Warsaw. 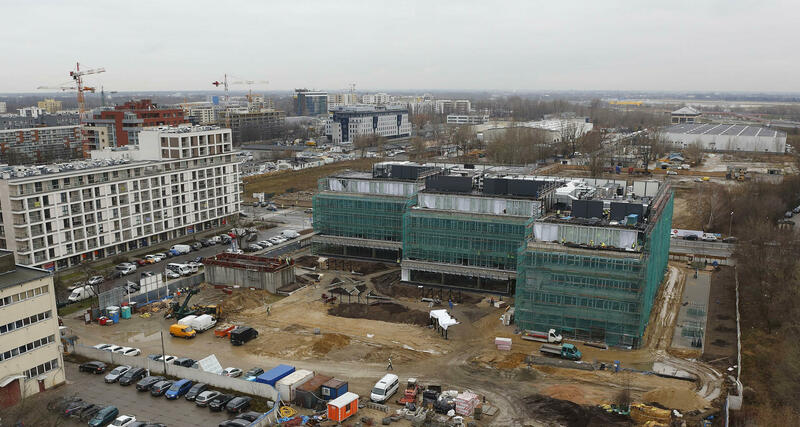 In addition, the modernized Cybernetyki street offers quick access to the international Warsaw Chopin Airport. 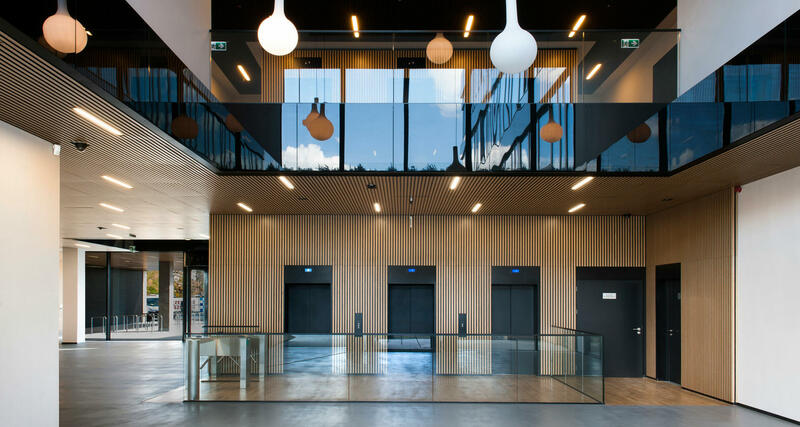 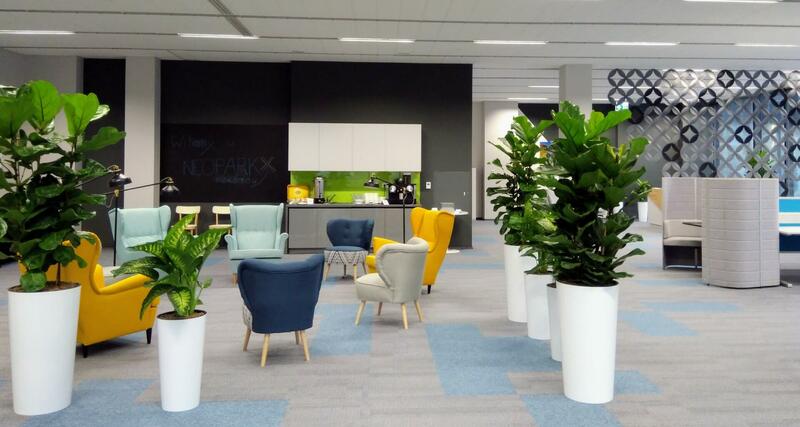 These factors are becoming increasingly more important when choosing a location for an office, which is why many global companies have moved their headquarters to this area, including BNP Paribas, Millennium Bank, Bank Pekao, DNB Bank, Noble Bank, Aviva, Netia, T-Mobile and Unilever. 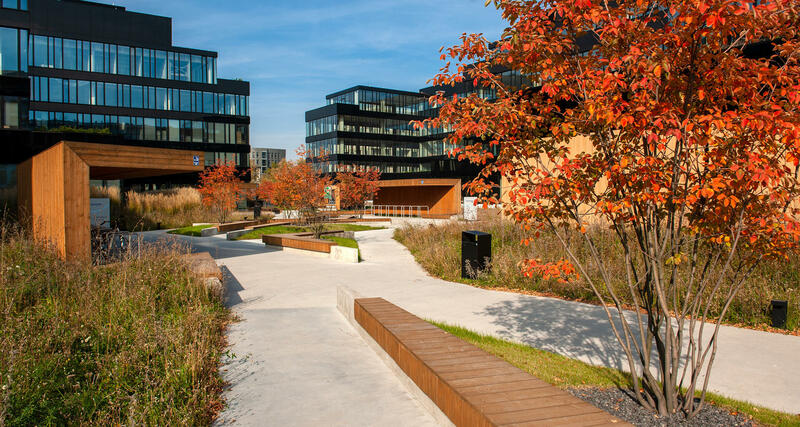 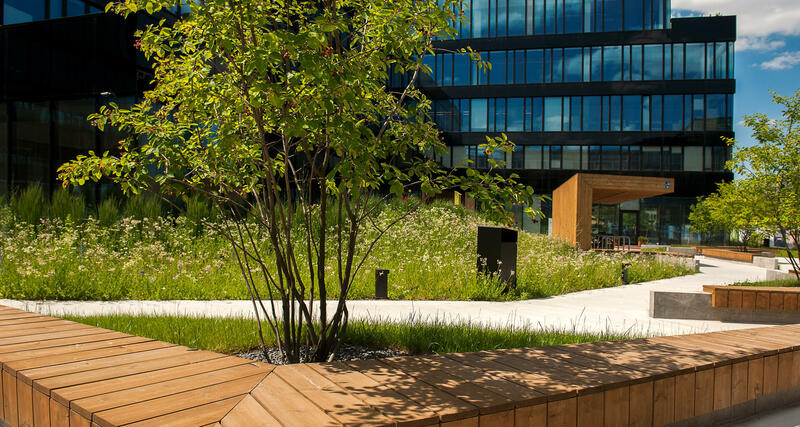 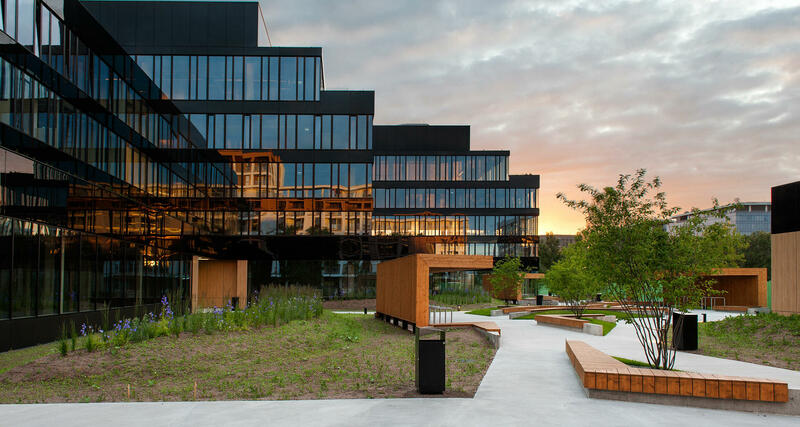 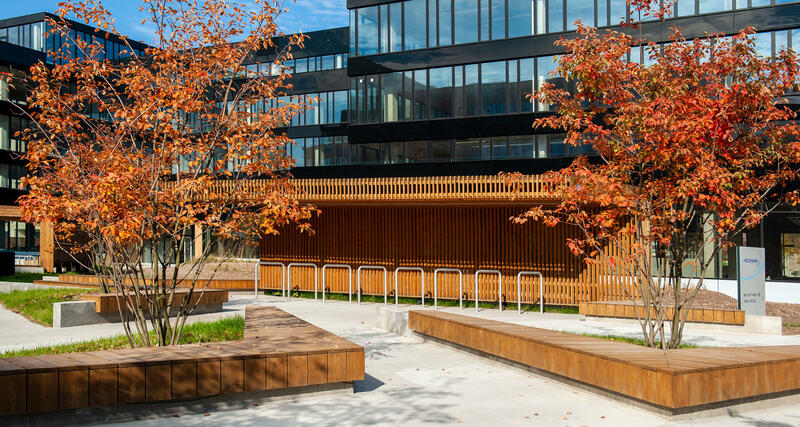 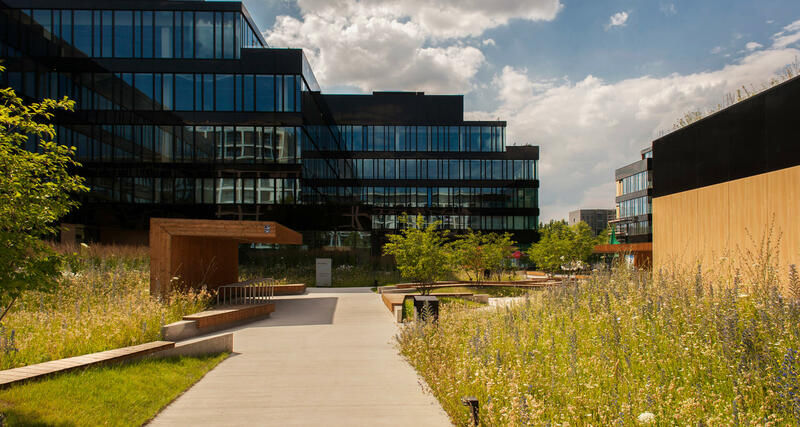 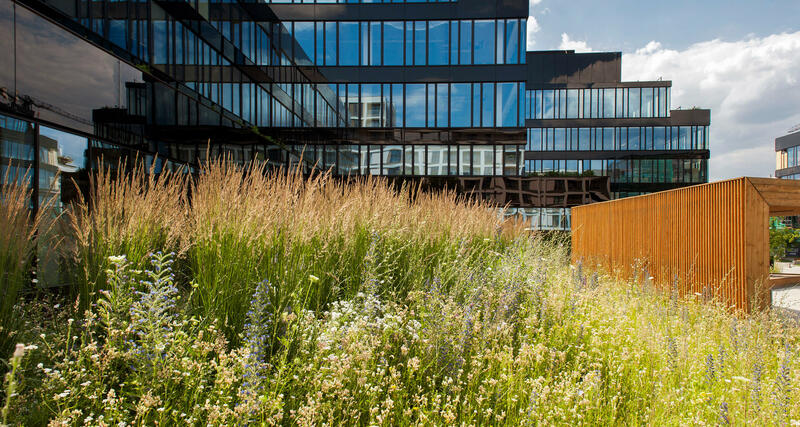 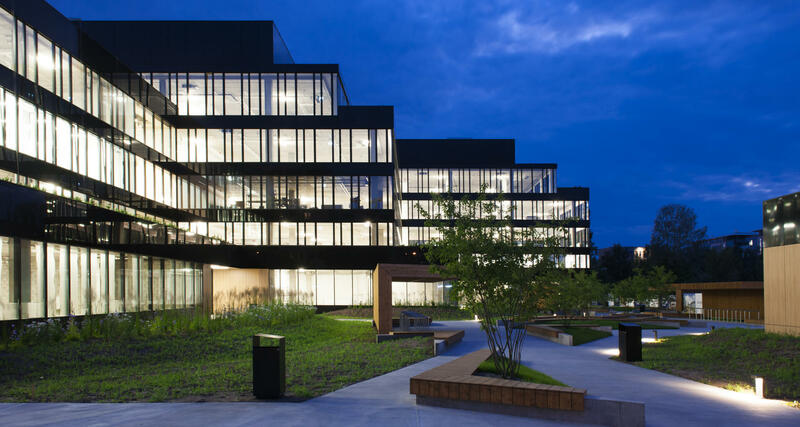 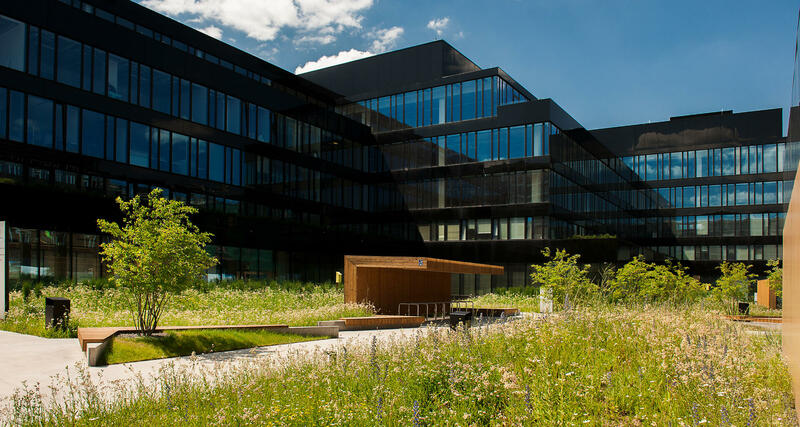 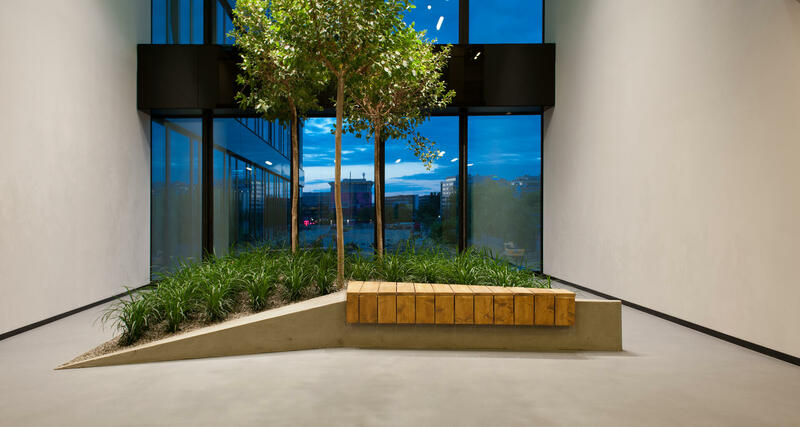 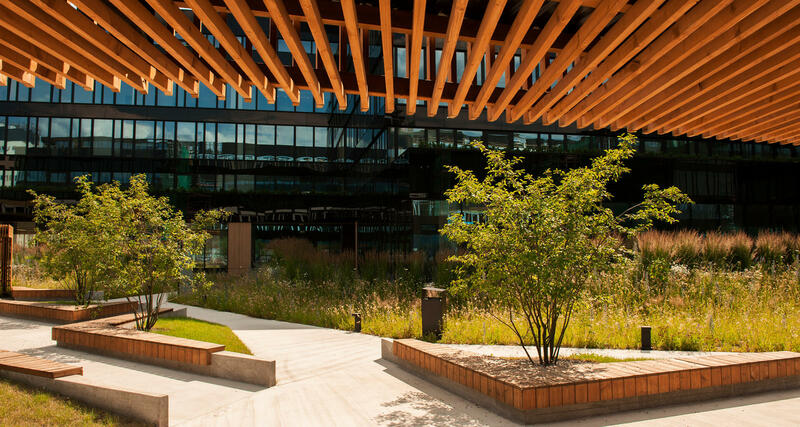 Neopark features two buildings with a campus-style design that harmoniously integrates with nature. 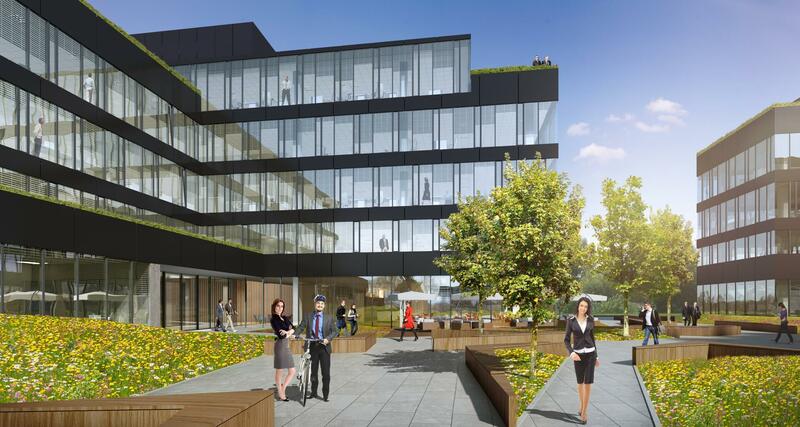 The complex will offer a green courtyard space which, along with a ground level modern restaurant providing best quality catering service, with an adjacent external terrace, will be a place for meetings and relaxation. 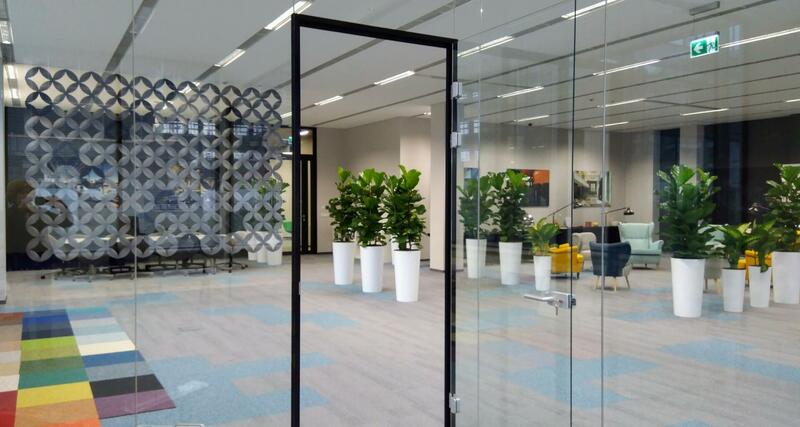 The offer will be complemented with retail amenities, also located on the ground floor, where tenants may take advantage of easy access during lunch breaks or after work. 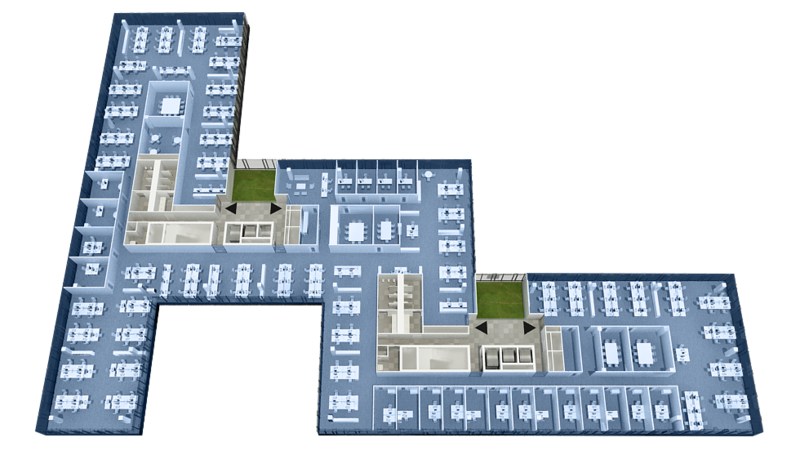 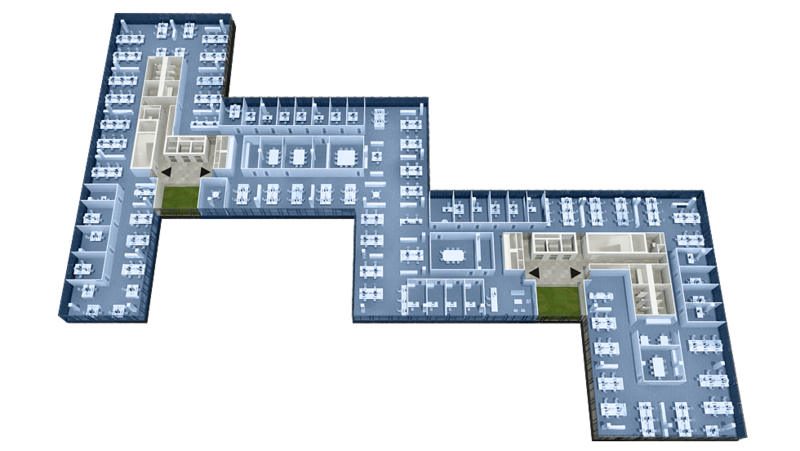 Neopark ensures flexibility in office space arrangement and allows for flexible space division into modules to meet the individual needs of every tenant. 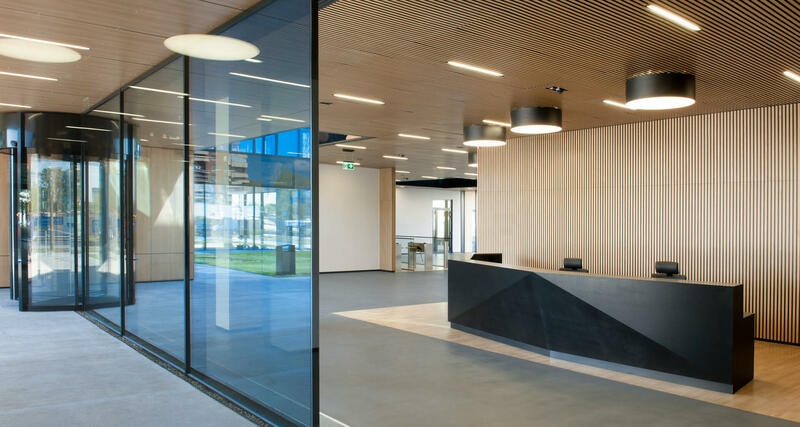 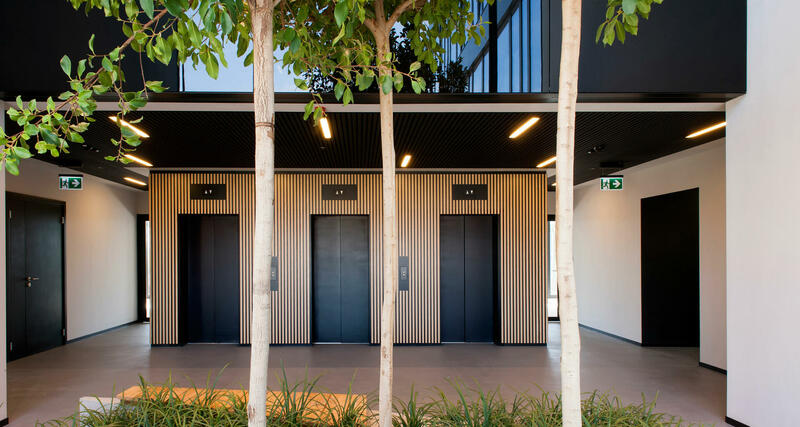 Facade divisions, a raised floor and suspended ceiling system facilitate the rearrangement of office space during the lease period. 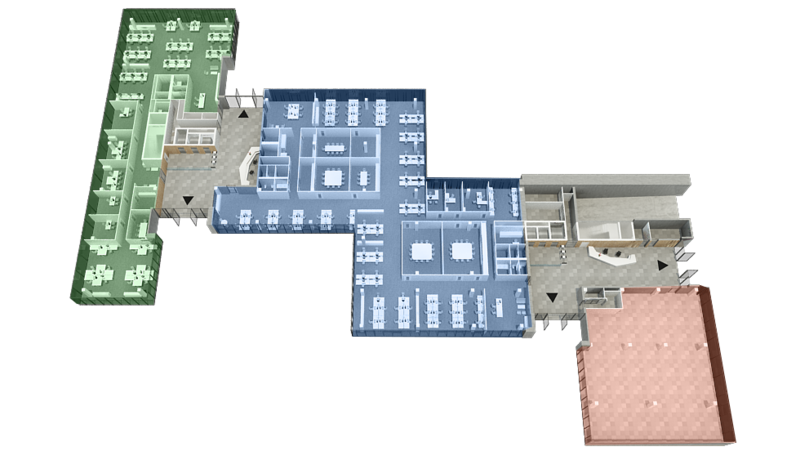 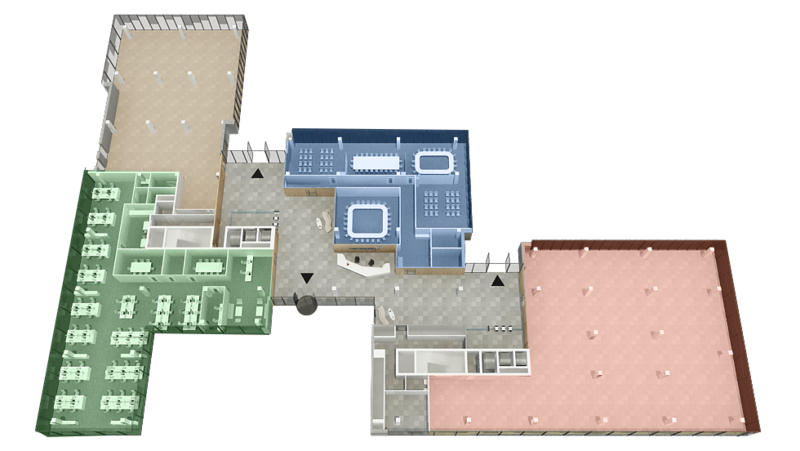 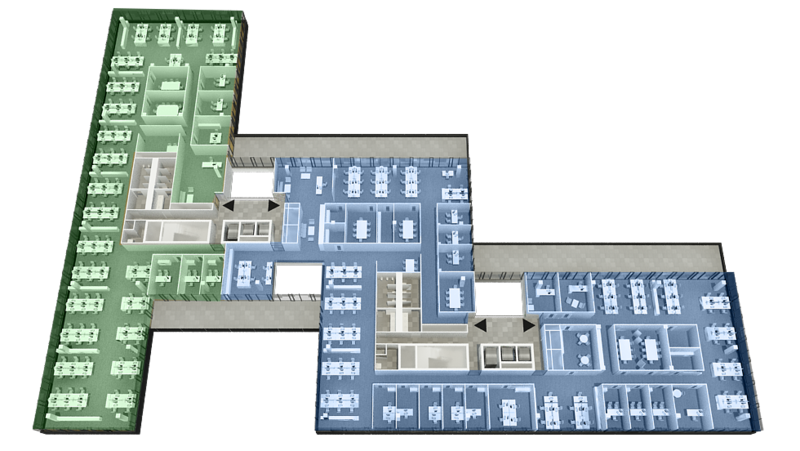 The open space plan can be easily transformed into a partitioned office, or vice versa. 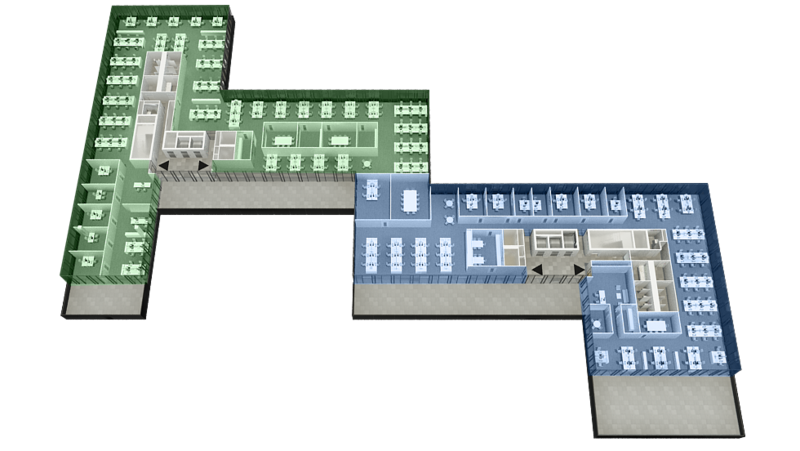 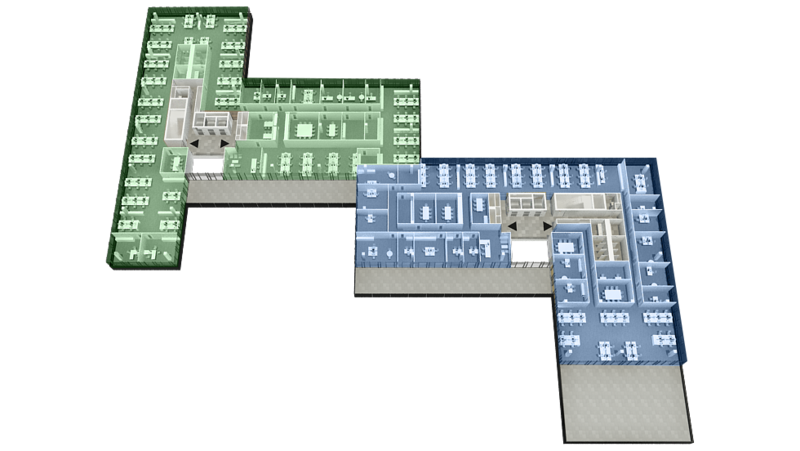 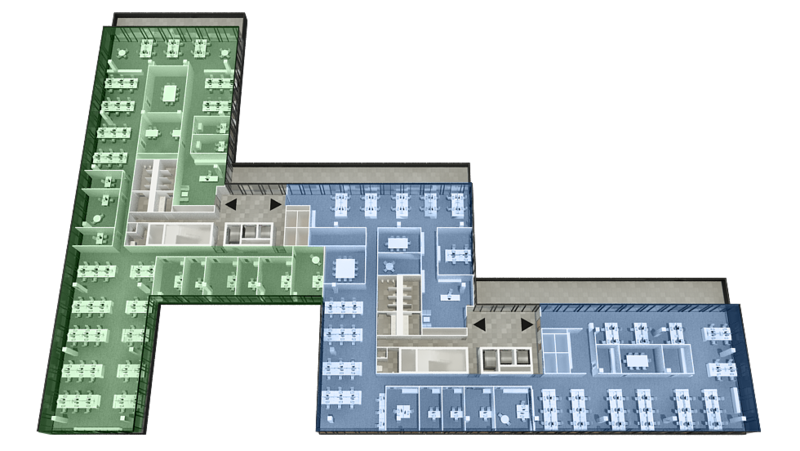 Optimal of office depth will allow sufficient daylight into the offices. 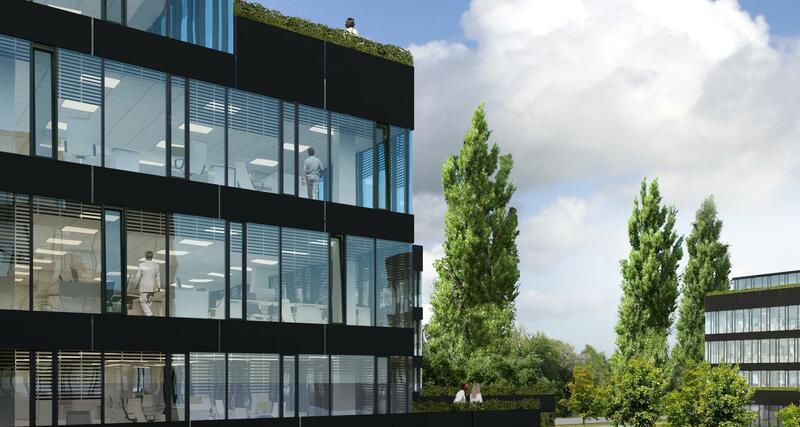 The building will boast the most advanced technology which will contribute to the optimal level of service charges.